Boss Mark Hughes praised Akos Buzsaky after the Hungarian played a starring role in QPR’s 3-1 victory over Wigan. Buzsaky, frozen out by Hughes’ predecessor Neil Warnock, scored with a spectacular free-kick to help Rangers to their first league win under the new manager. 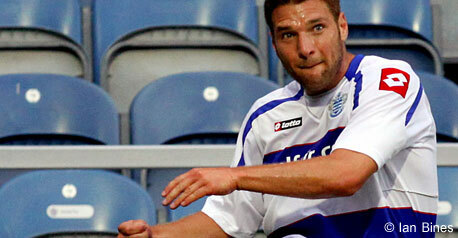 Buzsaky netted QPR’s second goal. “Technically, Akos is a good player and it’s obvious he has ability,” said Hughes. Rangers’ win against the Premier League’s bottom side took them out of the bottom three and eased their fears of an immediate return to the Championship. 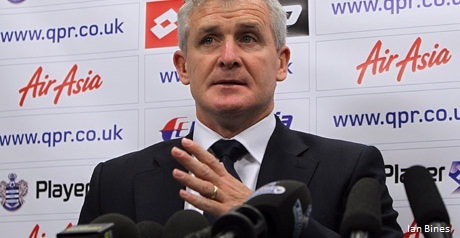 But Hughes warned that they still have a tough battle ahead as they look to avoid the drop. He said: “We’ve now got to show that kind of attitude and determination in every game. Meanwhile, Rangers are assessing a hamstring strain suffered by striker DJ Campbell, who was substituted at half-time. “It’s a tweak. We’re hopeful it’s not too bad,” Hughes revealed. My bet is that as soon as taarabats back Hughes will make him the player he deserves to be. I’m not getting carried away as its a long way to go. But we are moving in the right direction. Warwick had to go. He’s an amazing championship manager & will always be up there with the best QPR managers of all time as he has done something no-one else has in my lifetime … Won us a trophy! !… But on the flip side he can’t just bow out gracefully. A few signings, a quality striker to help helguson,a midfielder & a defender and the current squad we should be fine. Hughes is here for the long haul can see him being a legend & with QPR for many successful years!! He was not frozen out. Faurlan is injured so he has got a chance and he is taking it. Getting very annoying all these websites slagging Warnock off.. DJ Campbell was not frozen out either he has been injured most of the season.